Telltale Game of Thrones Deal is "Multi-Title"
A press release has described Telltale's partnership with HBO as being "multi-year" and "multi-title." 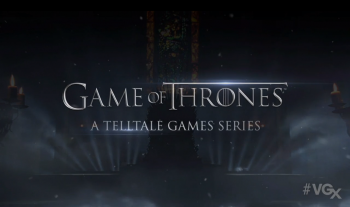 Telltale excited more than a few gamers over the weekend when it announced that it had signed an agreement to make a new episodic adventure series based on HBO's Game of Thrones television show. That being the case, if a new press release is to be believed, fans of the franchise may, in fact, have year's worth of content to look forward to. According to said announcement, the deal between Telltale and HBO Global Licensing isn't just for one game, it's a "multi-year, multi-title partnership." This, of course, means that gamers eager to get their hands on the Game of Thrones game scheduled for 2014 may, in fact, find themselves with even more content to look forward to well beyond that calendar year. The question that emerges from this for us, is how in the heck Telltale is going to find time to put out all of the games it currently has lined up. You would think that its ongoing work on titles like The Walking Dead: Season 2 and The Wolf Among Us would be already be enough. That the studio plans to tackle those properties, Game of Thrones and the Tales From the Bordelands game it also recently announced strikes us as more than a bit ambitious. We imagine there will be some new hiring or something to help bolster its development capacity but, even so, we'll be interested to see how this all turns out and how long it takes for us to actually see these games finished.